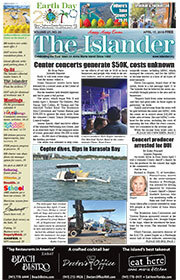 Stopped in Holmes Beach while driving a low-speed vehicle, the co-owner of the Sun weekly newspaper was arrested Feb. 21 for driving under the influence. 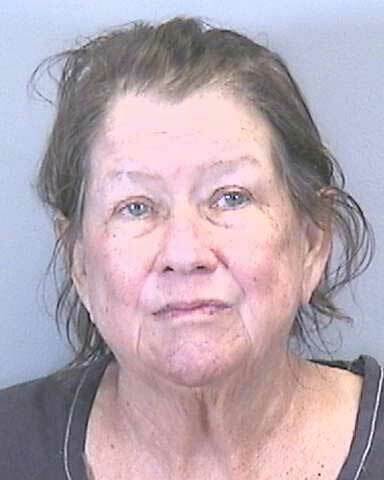 Margaret “Maggie” McGinley, 59, of Anna Maria, was pulled over at 8:45 p.m. in the 7700 block of Palm Drive by Manatee County Sheriff’s Deputy Peter Papas. Papas stopped her for swerving and failing to have the lights on after dark on her 2012 EZ-Go low-speed vehicle, according to the HBPD reports. HBPD Officer Alexander Hurt and Sgt. Thomas Fraser were dispatched to assist Papas with the traffic stop. Papas told Hurt he believed the vehicle’s driver was impaired after observing the LSV’s lights off, the turn blinker left on and the vehicle traveling unusually slow, an HBPD police report states. The report also states Papas observed the LSV, which was traveling south from Anna Maria, swerve into the northbound lane on five occasions. McGinley, who appeared to law enforcement to be disoriented, told the police she has diabetes, and Manatee County Emergency Medical Services was called to the scene. She told EMS workers she doesn’t take medication and they determined she was not having a medical issue, according to the report. She also told EMS she was on Magnolia Avenue, about 2 miles from their actual location. Hurt reported McGinley asked if she knew who she was and informed him she owned a local newspaper. She then told Hurt his life on the island is dead. The police narrative details McGinley being antagonistic and swearing at law enforcement, and alternately cooperative. She had difficulty standing and walking and refused Hurt’s request to take a road sobriety test. She was taken into custody and transported to the HBPD station, where she refused to provide breath samples to measure her blood alcohol content. In addition to the DUI citation, McGinley was ticketed for refusing to submit to a balance test, driving with an expired driver’s license, driving a vehicle without lights at night and driving on the wrong side of the road. She was transported and booked at the Manatee County jail. She posted a $740 bond and was released Feb. 22. 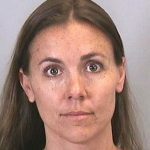 According to court records, MCSO arrested McGinley in 2009 for driving impaired in Anna Maria and, in 2010, she was convicted of DUI with property damage and a blood alcohol of 0.15 or higher. McGinley’s arraignment for the Feb. 21 arrest is set for 8:30 a.m. Monday, March 25, at the Manatee County Judicial Center, 1051 Manatee Ave. W., Bradenton.